What's more classic than Russian vodka? Just keep it pure and simple with a ice cold shot of vodka. My classic standby has always been Stolichnaya and another bottling that is no longer widely available was Moskovskaya. Shochu is produced in Japan, but Soju is made in Korea. They are similar and Soju is made from rice, wheat, or barley, but you'll also find it made from sweet potato or tapioca. 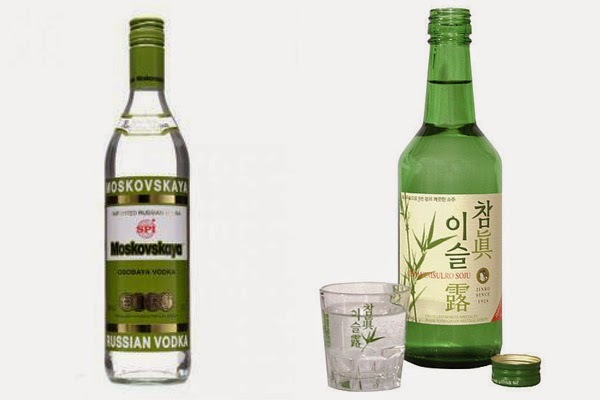 If you are following Korean tradition, you never pour your own glass and you don't refill a glass before it is empty.